You may think these are ordinary meatballs, but they are not! 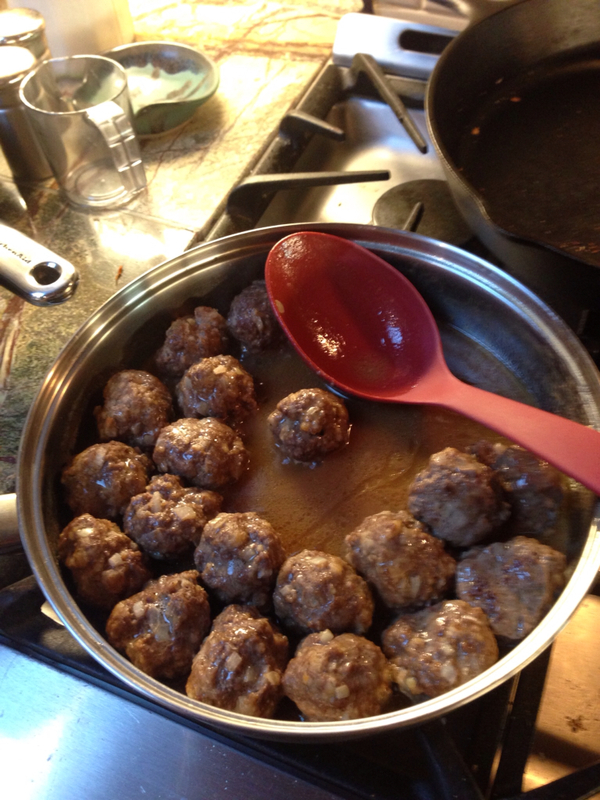 They are delicious Swedish meatballs, resting before diving into their sauce. This is a family recipe, which has been tweaked over the years until it's exactly what we want. Put bread crumbs and milk in a large bowl. Stir and let soak 10 min. Add onion, eggs, and spices and use a wooden spoon to combine. 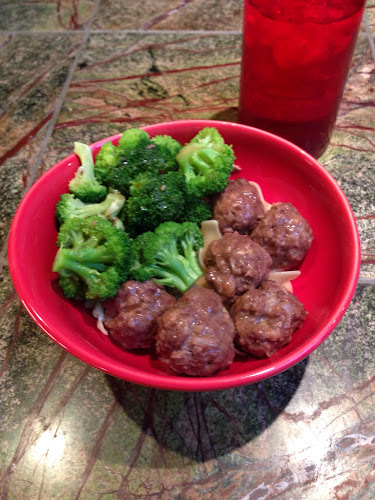 Break meats into small bits with hands (Note: when I'm being fancy it's worth getting veal and pork, but I just used ground beef this time) and add to bowl. Use wooden spoon to beat until well-mixed. Shape into 1 1/4-inch balls; handle gently and rinse hands often to keep mixture from sticking. (If you have an ice cream scoop or dished about this size it makes things much easier to scoop and then use your moistened hands to shape into a ball). 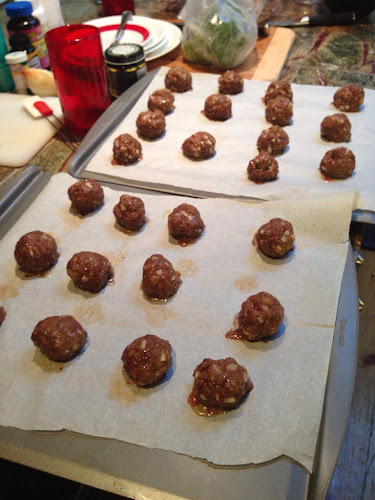 Arrange meatballs in a single layer on ungreased baking sheets (you'll need about 4 sheets). Bake until well-browned, 10-15 minutes. Remove from pan with wide spatula. At this point, you can cover and chill these for up to 3 days. For the sauce, put butter and flour in a large saucepan. Blend broth and water into flour. Bring to boil while stirring. Add meatballs and sherry and bring to simmer, cover and gently simmer for 10 min. Serve over egg noodles or baby red potatoes sprinkled with dill. These look seriously delish! I MAY NEVER GO TO IKEA AGAIN.